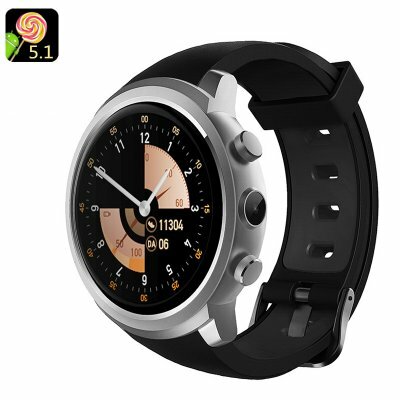 Successfully Added Android 5.1 Smart Watch Phone – MTK 6580 Quad-Core ,8GB ROM, 2.0MP Camera, Pedometer (Sliver) to your Shopping Cart. Z18 3G Smartwatch Phone 1.3 inch Android 5.1 MTK6580 1.3GHz Quad Core 512 RAM 8GB ROM. The Z18 smart watch phone comes with a 12 months warranty, brought to you by the leader in electronic devices as well as wholesale electronic gadgets..